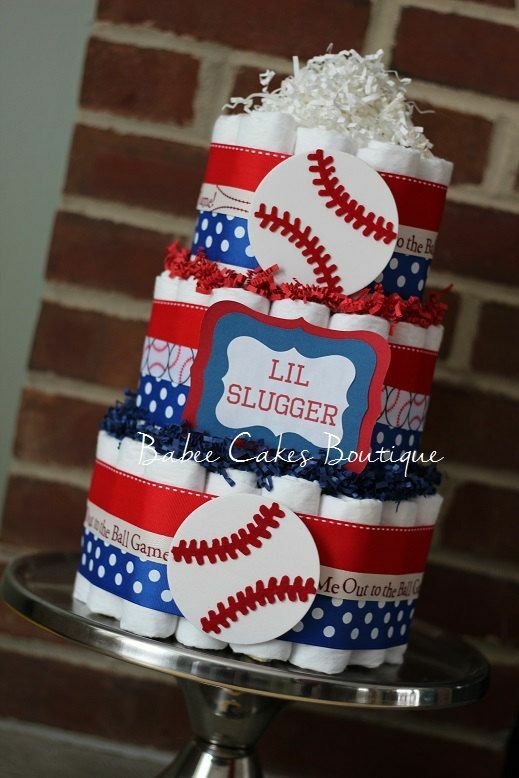 Baseball baby gifts are perfect for baseball fans who are having a baby, and anyone looking for baseball themed baby shower gifts. They’re also great for babies and toddlers for birthdays. 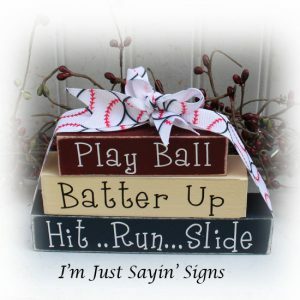 I have a lot of friends who are huge baseball fans and they love to get baseball related gifts for their kids. 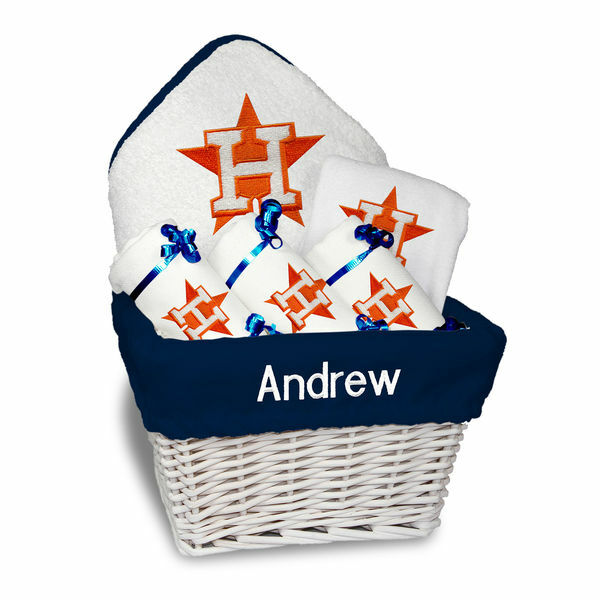 Can’t think of anything to get for a baseball fan’s baby gift? MLBShop.com has some easy solutions. How about a set of adorable baseball onesies? 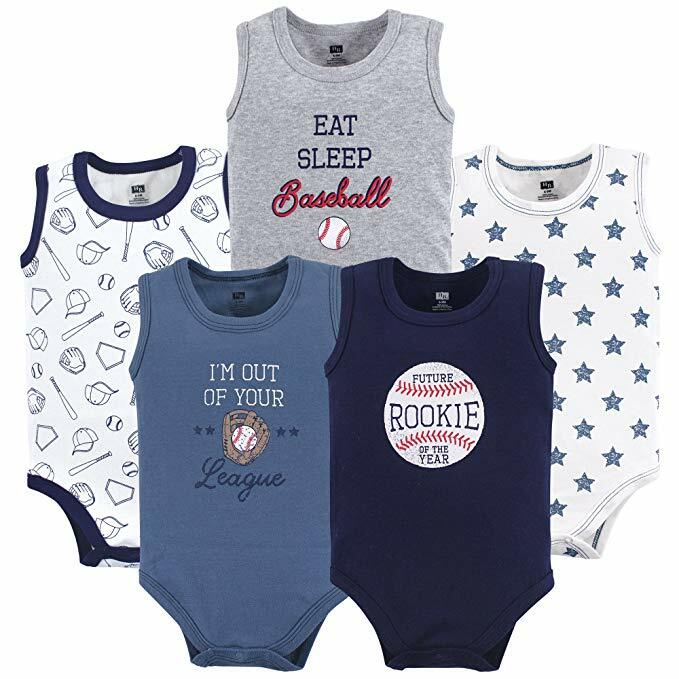 These 100% cotton baseball bodysuits are perfect for an excited baseball parent. 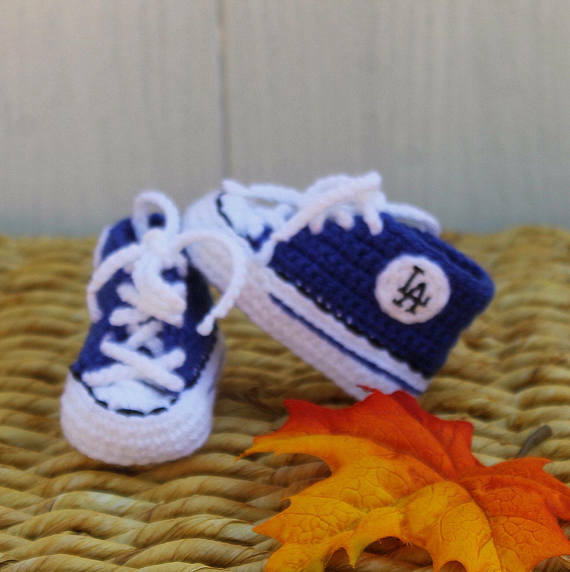 This is my absolute favorite baby gift for a baseball family expecting a boy. I love it! This cozy blanket will keep their future baseballer nice and warm. It’s 27 inches in diameter and machine washable. How adorable is this? 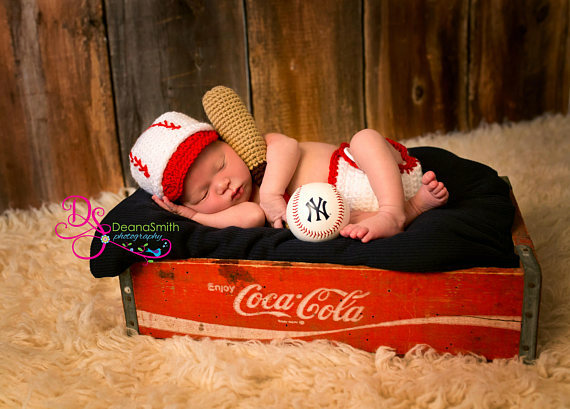 This set comes with a crocheted baseball hat and diaper cover to create an adorable photo shoot for a baby. Love it! I really wish they would have had this when my baby boys were born. 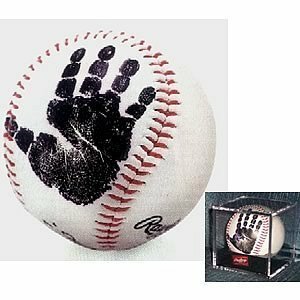 I would love to have their little hand prints on their first baseball. This comes with directions and supplies for applying baby’s hand print. 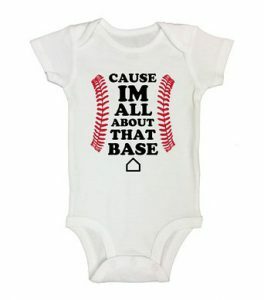 Amazon.com has a great selection of baseball related baby clothes including this cute onesie. 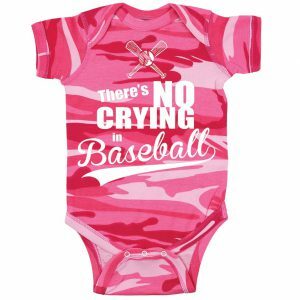 What a precious little onesie for Mommy and Daddy’s little baseball baby girl. You can’t get much cuter than this. 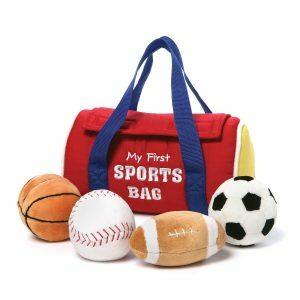 This colorful sports bag includes a fluffy baseball and some other balls for baby to snuggle with and they even make sounds. The surface is washable. 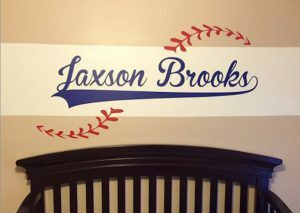 These handmade vinyl wall decals make a wonderful new baby gift for a die-hard baseball fan. Can be personalized with the baby’s name and it’s removable. 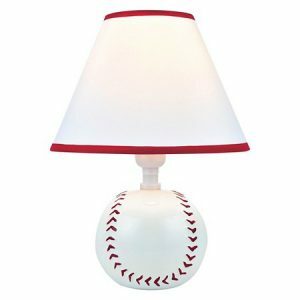 This baseball lamp makes a great baby gift for a baseball themed bedroom. There are many items that could be used to compliment it like posters, pillows, and curtains. 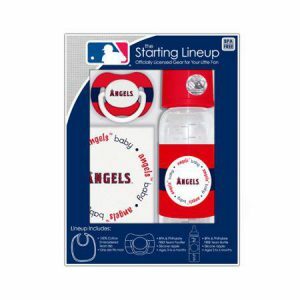 This quick and easy baseball baby gift includes and bottle, pacifier, and bib with baby’s (or Daddy’s) favorite team logo. 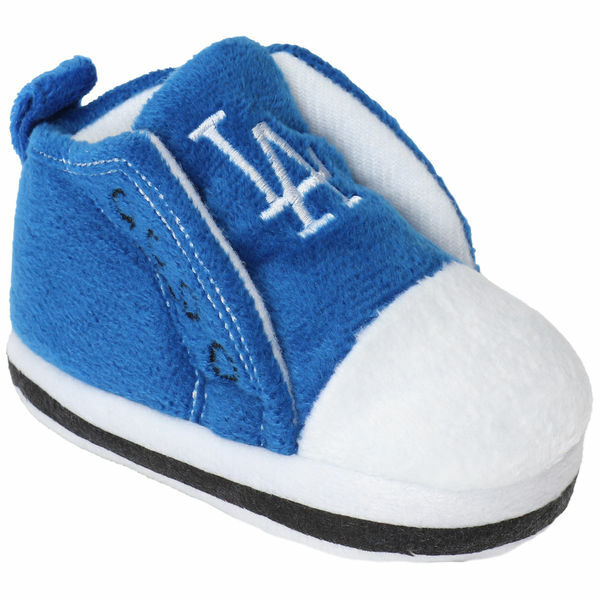 If you’re looking for inexpensive baby shower gifts for baseball fans, this is the ticket. How absolutely adorable is this diaper cake for a baby shower? Precious! Check back soon for more great baseball related baby gifts!